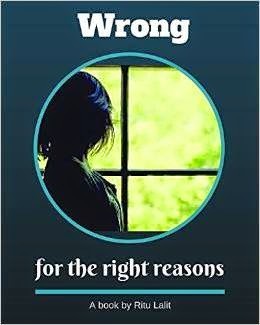 The author sent me the pdf of the book ‘Wrong for the Right Reasons’ and from the word go I was hooked onto it. It’s the story of Shyamoli Verma, divorced and saddled with two kids, who decides to face life full on, on her own terms. Ritu Lalit writes a passionate tale about the plight of a woman estranged from her husband, how not just the society but her own flesh and blood stand against her and creates obstacles on her path in every possible way. The narrative is simple and the characters are very real. This is no flashy tale of an extraordinary woman who wants to fight the wrongs done to her. On the contrary it is a story about quite the ordinary Shyamoli, a self deprecative girl in her late twenties who is led by rather unfortunate circumstances to stand up for her children and intricately maneuver through the twists and turns that fate leaves in her way. Everyone she trusted, starting from her husband Manav, her friend Uma or even her mother Malati Malhotra; fells her down with their chicanery and duplicity. She gets support and strength from people who were not her own. The Afghan refugee, who takes shelter at her place, is a beacon of strength and rightly advices her everytime Shyamoli faces a cul de sac. Her relationship with Subodh too is a positive and authentic one. There is no teenage fling, no unreal expectation and both give each other the space and respect that is due to them. What intrigues me most about Shyamoli’s tale is that she learns to shed her timidity and fights back because she has been betrayed by her very own; these characters have actually unlocked in her the persona she didn’t know she had. Had she not been egged by Uma and Roop, she would never have started the cosmetic company and the bakery neither would she have been able to market and present it professionally if the very same people did not try to cheat her in her own game. Had her mother not threatened to make her roofless she wouldn’t have taken the stance of going to the lawyer though it was her father who stood by her like a rock with his silent support. At the end even her brother’s reaction to her father’s will comes as not just a shock but also a learning that money and property alienates even the closest of the relationships. The only negative to the whole drama is that it gets a tad lengthy. Since there are no great twists to the tale, the narrative at the end becomes a little tedious and perhaps the last few chapters could have just been shortened a bit. Nevertheless, what is interesting is, at the end its Uma who finally does the friendly deed. Will not give away the details, it might become a spoiler. 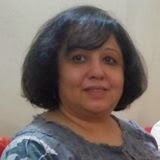 Ritu Lalit again brings out the greys in human character, despite being the unfriend she turns out to be the saviour. Its a very real story Ritu..
Reblogged this on Weaving a Web. You have gone straight to the core of the book – the woman’s indefatigable spirit that comes out when cornered. A quality all of us can appreciate. Nice review! As I am reading this book, I am getting more and more interested. Lovely review Ahana. I am glad my review is of help..